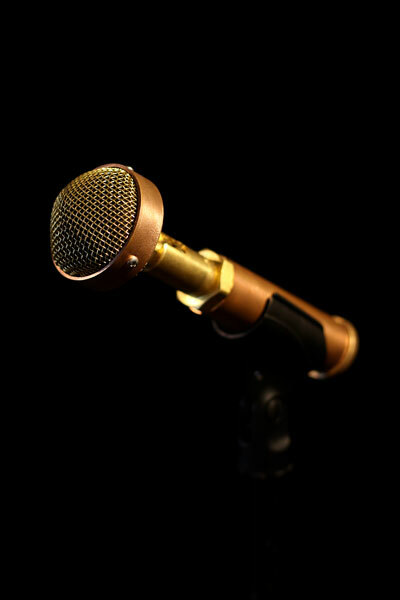 The C hantelle Microphone by Ear Trumpet Labs is created to be the best live vocal microphone, bringing the clarity and warmth of a large diaphragm capsule to a low-profile body. In addition to a smooth high end with no harsh tones and an upper-midrange emphasis, included is also a full foam pop filter for even greater sound control.With exceptional feedback rejection, the can be used on even the loudest of stages.The microphone comes specifically tuned to handle any stage and still provide excellent feedback rejection. Chosen by performers in diverse genres, from R&B (Andra Day) to indie folk (Rachel Sermanni) to roots (Dustbowl Revival), Chantelle has a beautiful copper body and distinctive aesthetic that will inspire singers to give their best performance. Chantelle is an end-address large-diaphragm condenser with a flexible pivoting body, excellent for vocals live, in studio, and in videos. This microphone is perfect for any vocalist wanting a diverse sound with a great amount of control over feedback and tone. 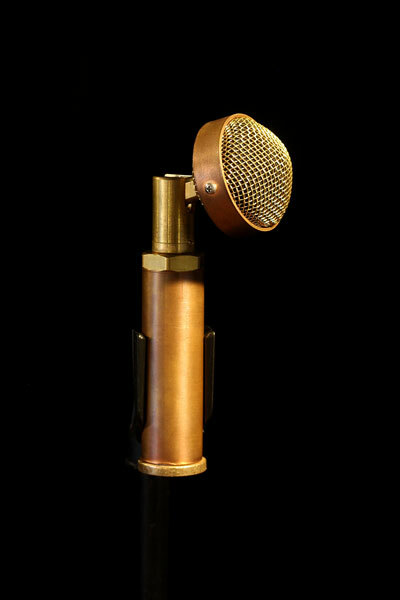 With a great design and a very slick aesthetic, this microphone is sure to be a great addition for any singer's arsenal. *The Modern Vocalist World is brought to you by The Vocalist Studio, course and training for singers.